While the competent and capable people might appear to take everything in their stride, you should never assume that’s the case. One of the drivers for My Year of TED project was the desire to get rid of that aspect of my personality. I knew that the only way I could truly become the person I wanted to be involved learning the skill of self-compassion; accepting my faults and failings (of which there are many); and being more authentic and honest with other people. Yes, I had listened to the Brené Brown’s TED Talks and I wanted to improve my connection to other people. But as much as I am recovering, the mindset surrounding perfectionism is my default, which I have to overcome with each new challenge. And the reason I am writing about it now is it’s come back in a big way with my latest client. 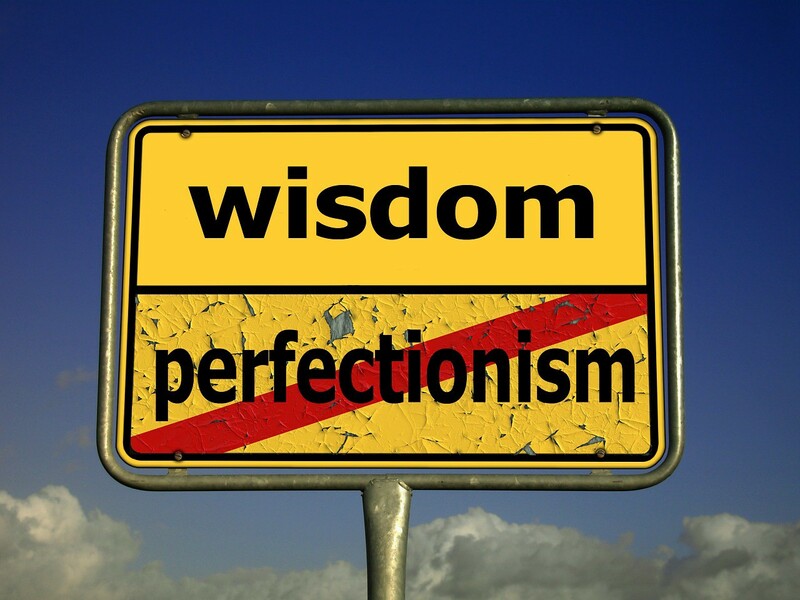 But this isn’t about overcoming perfectionism — it’s a timely reminder to people who work with perfectionists. This is my default phrase, has been for years. Even when the request is nothing but a problem and I have no idea how I will approach or solve it. Remember that many of us seldom like to admit that we have no idea how we’re going to tackle an issue, or cope with the additional work load. “No problem” is a mantra I’ve heard many people use — and I doubt that any of them truly mean it. If you work with someone who often overloads themselves, start the conversation with “I’m aware that you have a lot on your plate at the moment, so I understand that you might not be able to fit this in…”. Give them an out in the ask. Sure, it might not help you if they say no — but a broken perfectionist is likely to have a much greater impact on your organisation. Just because they seem to take everything in their stride, it doesn’t mean they aren’t internally melting down as you give them another task or ask for something more. Think of the perfectionist as a duck on the water — effortlessly gliding through their workload, while underneath the water they’re working away frantically. Because perfectionists enjoy creating the image of ease, of never being bothered by the overwhelming workload. Don’t be fooled by the calm exterior. If you look at a colleague or team member and think “how do they do it?”, chances are the answer is through long hours and unobserved stress. Think of the duck next time, and how much faster those little legs will need to paddle with the additional tasks or pressure you’re putting on them. Many perfectionists need to over-deliver, to continue to surprise you with either the quality/speed/innovation or a mixture of all of these. When you effusively praise, then you’ve set a new baseline for the perfectionist to beat the next time around — or they will feel like a failure. This biggest issue I had as a perfectionist was that I worked in organisations that didn’t see the value in accepting that failure is part of work. It’s a real issue you need to manage to your workplace — failure is part of learning and growing, as people and organisations. We need to be less concerned about getting it right the first time, and accept that failure is part of the job. As well as allowing people learn from their experiences, it means people are less likely to ‘hide’ their mistakes (which always comes back to bite someone). Create an environment where failures are acknowledged and the reflected upon to gain insight from the lessons. Also, an environment where your staff have support to deliver true ‘draft’ work for discussion and collaboration. In a perfect world, perfectionists would identify these traits in themselves and work on resolving them. But we don’t live in a perfect world, and sometimes you need to save other people from themselves. And if you are a perfectionist, maybe it’s time to start stepping away from these behaviours — they are not helping you or anyone else. In 2011, I started a year-long experiment with my life. Based on TED Talks, My Year of TED has had a profound impact on who I am and how I see myself in the world. You can learn more about it and get resources to help you find your own fulfillment on my website. Or watch my TEDxHobart talk for an overview.